Cinco Credit Union provides their services in financial matter. The company provides their operations in business accounts, checking and debit cards, share certificates, money market, and mortgage for both personal and commercial purposes. Cinco Credit is a family financial center that offers several types of loans including personal loans, student loans, vehicle loans, RV loans, home loans and many others at low rate. Their portfolio also includes deposit investments like individual retirement accounts, money market accounts. Their online services are designed to provide information about CINCO accounts 24 hours every day. In addition, Cinco Credit offers mobile banking at free of cost. 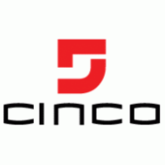 There are currently 0 consumer reviews about Cinco available. Share your review. Please take a note that you are about to post a public review about Cinco corporate office on CorporateOffice.com. This review will be public, so please do not post any of your personal information on this website. If you would like to contact the corporate offices of Cinco, please use their contact information such as their phone number, website, and address listed above to contact them. However, sometimes staff from Cinco headquarters do read the reviews on this website.